An unanticipated car problem is a common occurrence that we come across on road daily. 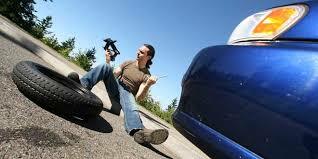 Many times we can handle the situation ourselves when it is a problem of a flat tire of engine heating. But what if we meet a car breakdown due to any mechanical failure that is above your mechanical ability? The situation might also arise at midnight when you are alone or either with your family. Did you know, if you would have purchased a roadside assistance program, then you don’t have a reason to worry? The roadside assistance program serves the role of a hidden pal during our journey. The benefits of such program is that you can call the service providers at any point of time, as these services are 24 hours a day and seven days a week. The major services offered include repairs, replacing of flat tire, lockout and locksmith services, vehicle jump-starting, vehicle towing and emergency delivery of water, gasoline and fuel. Hence, to get the benefits of this hourly assistance, one should purchase a roadside assistance program, whether you own a new or used car.